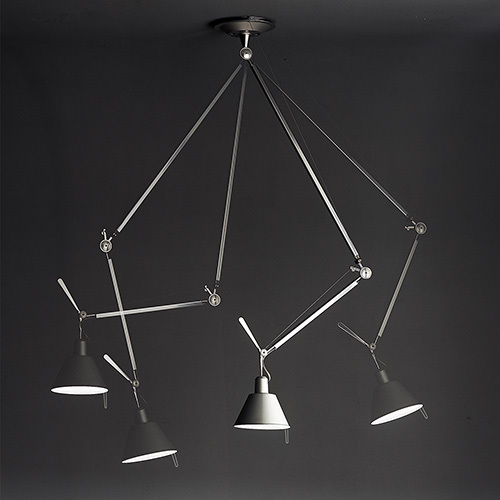 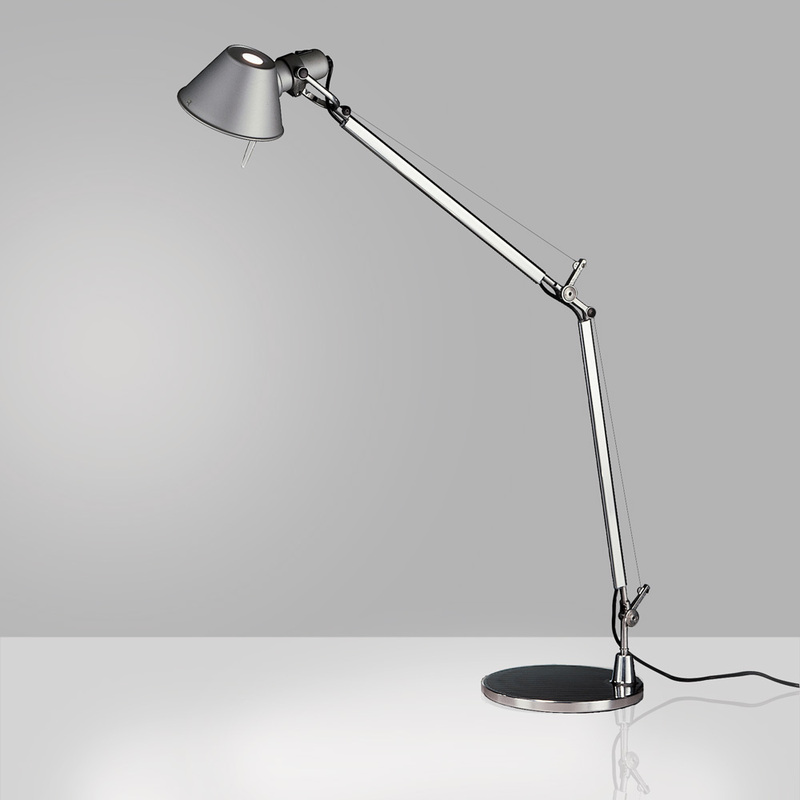 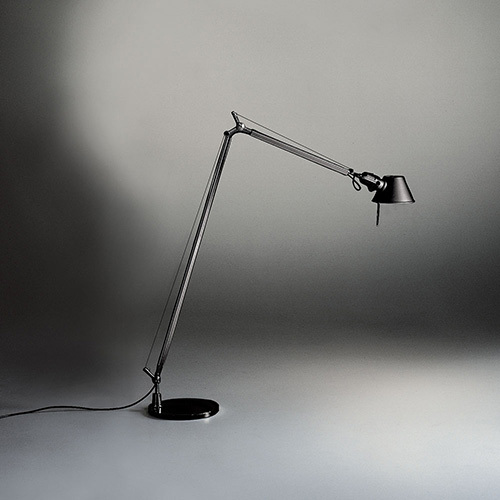 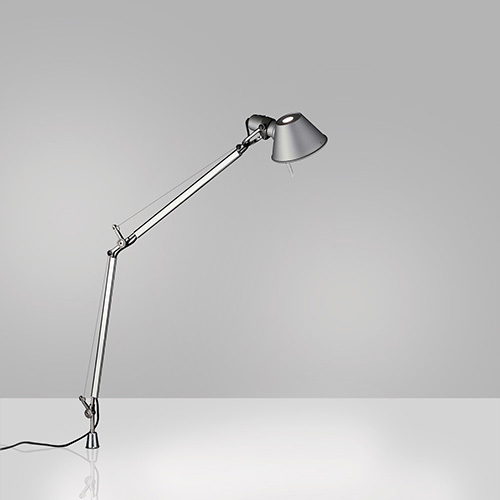 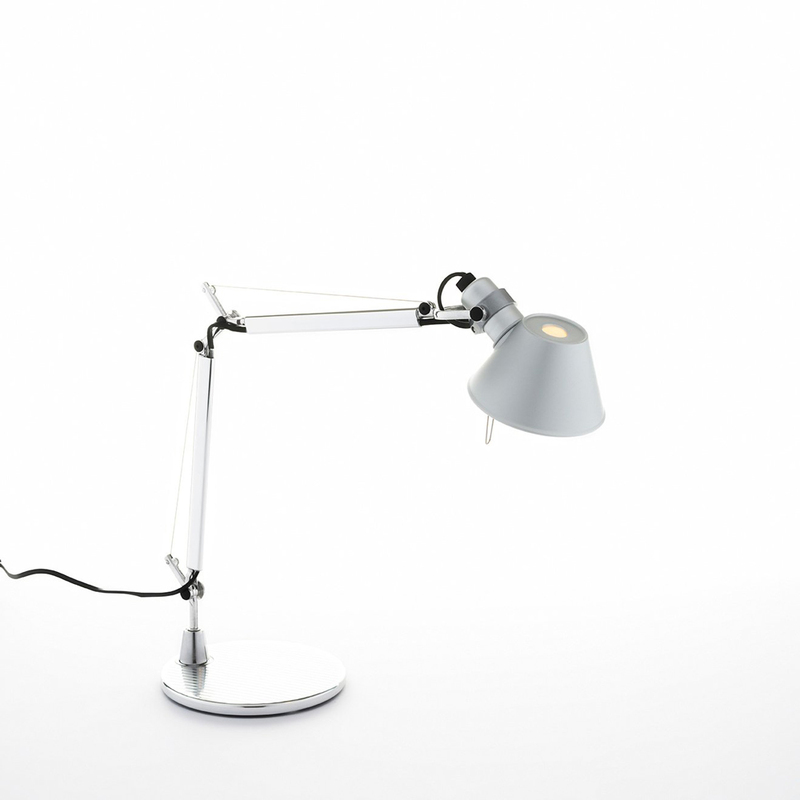 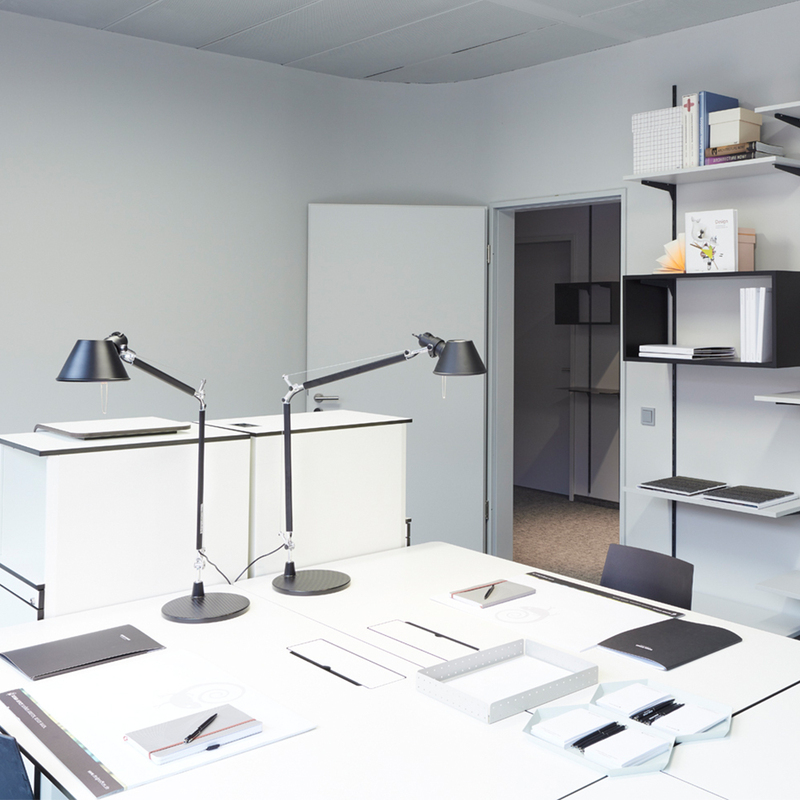 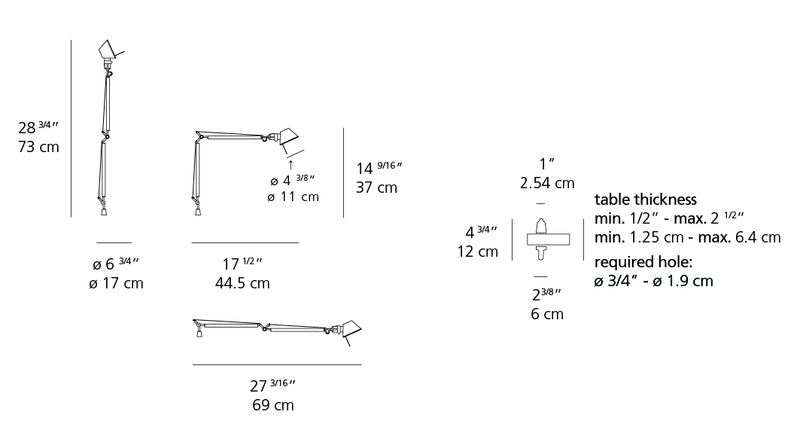 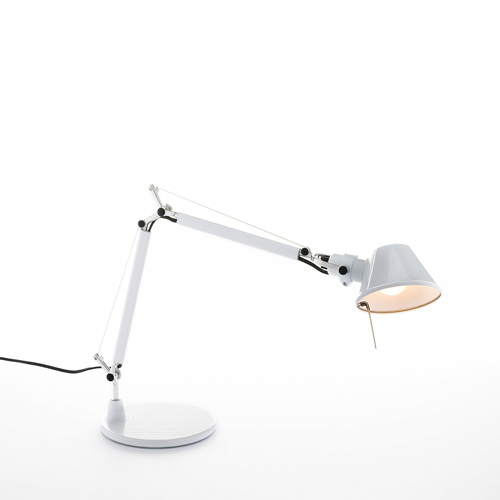 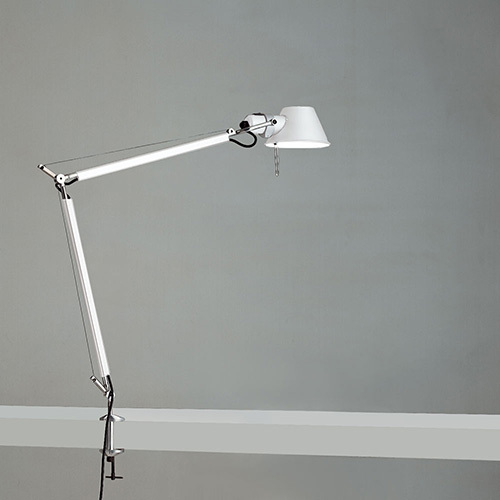 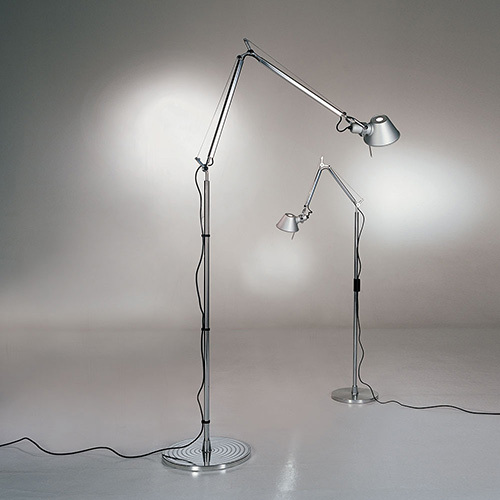 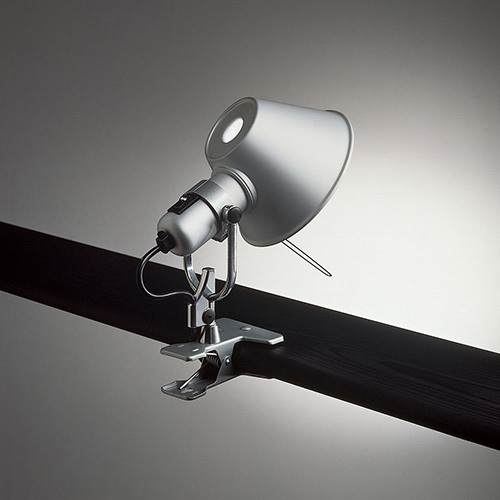 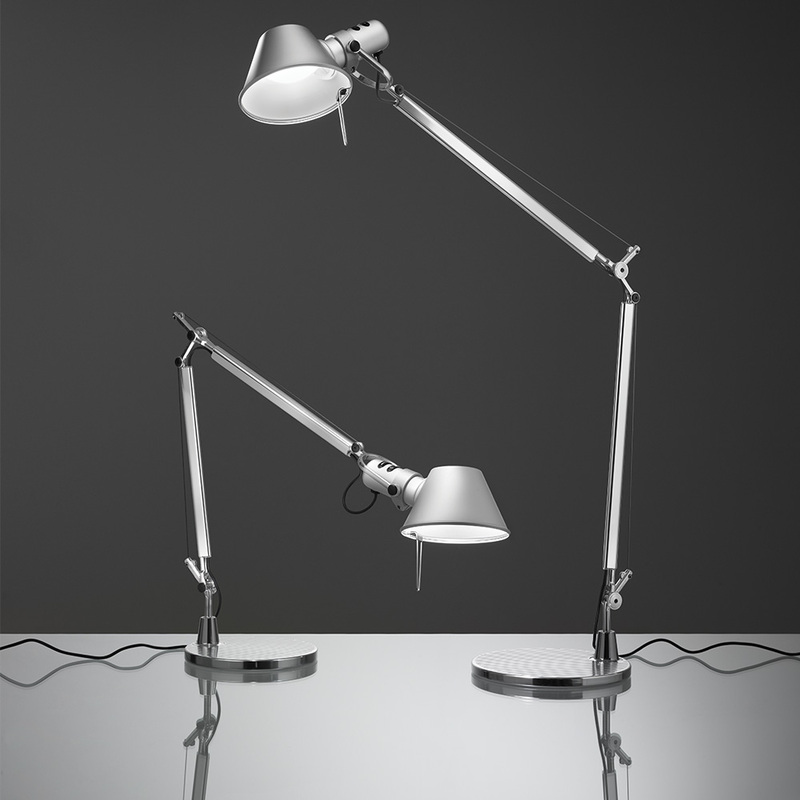 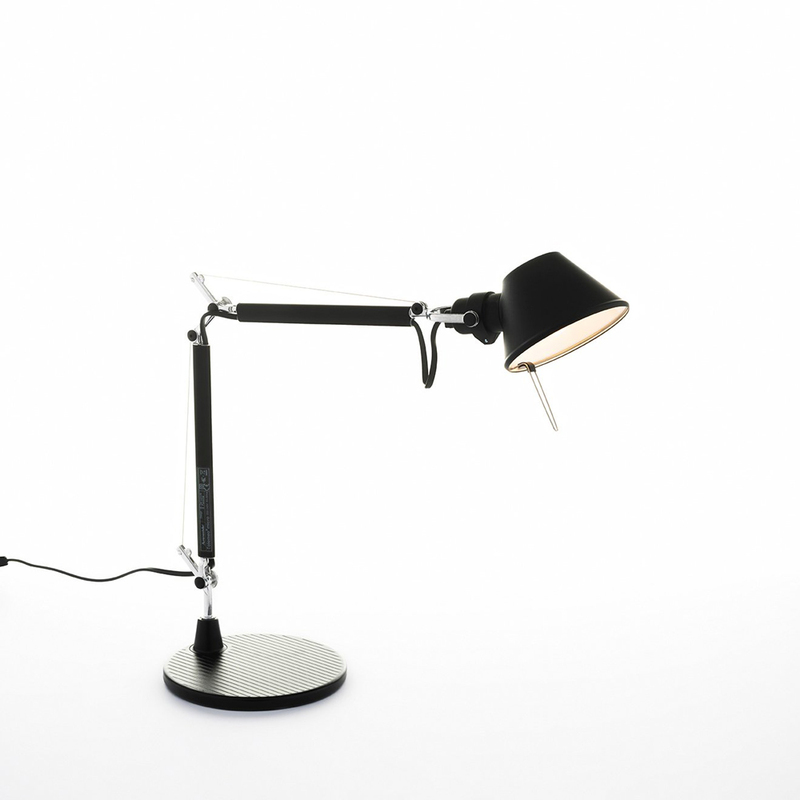 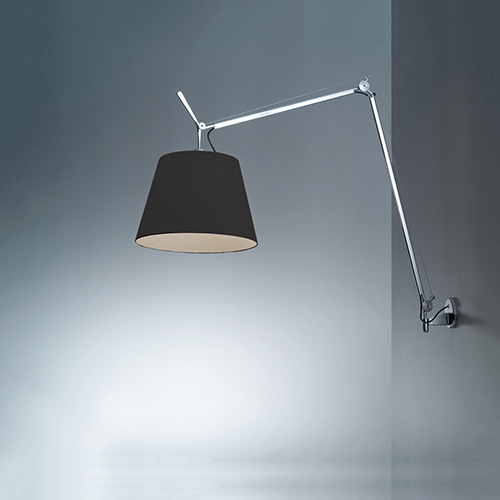 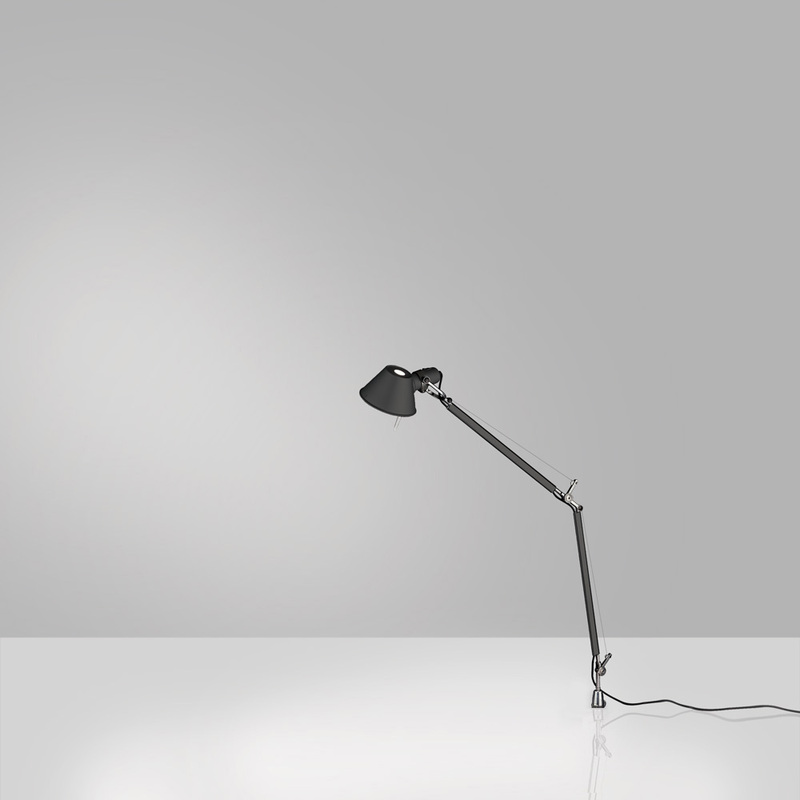 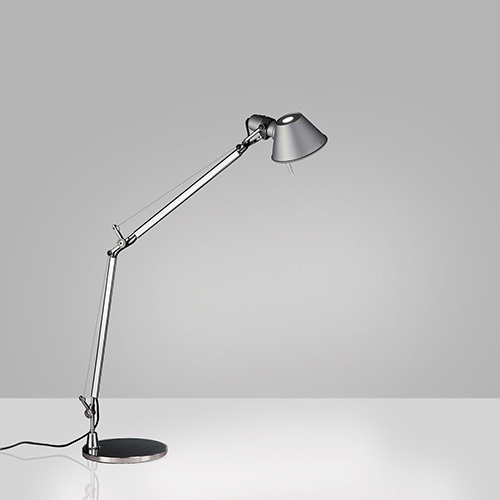 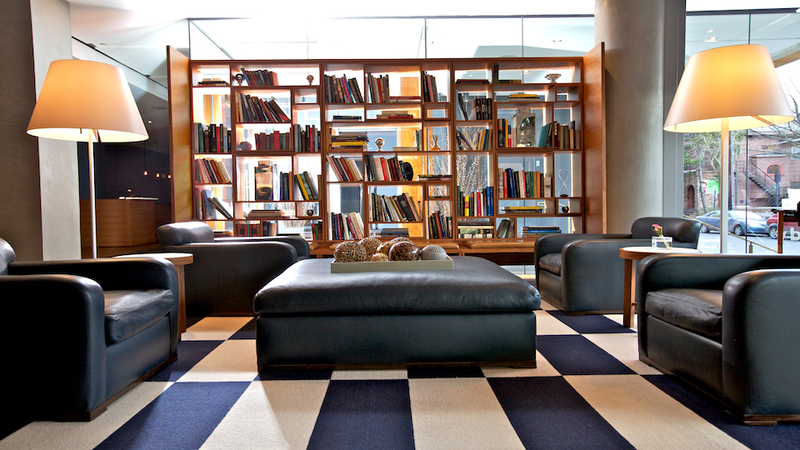 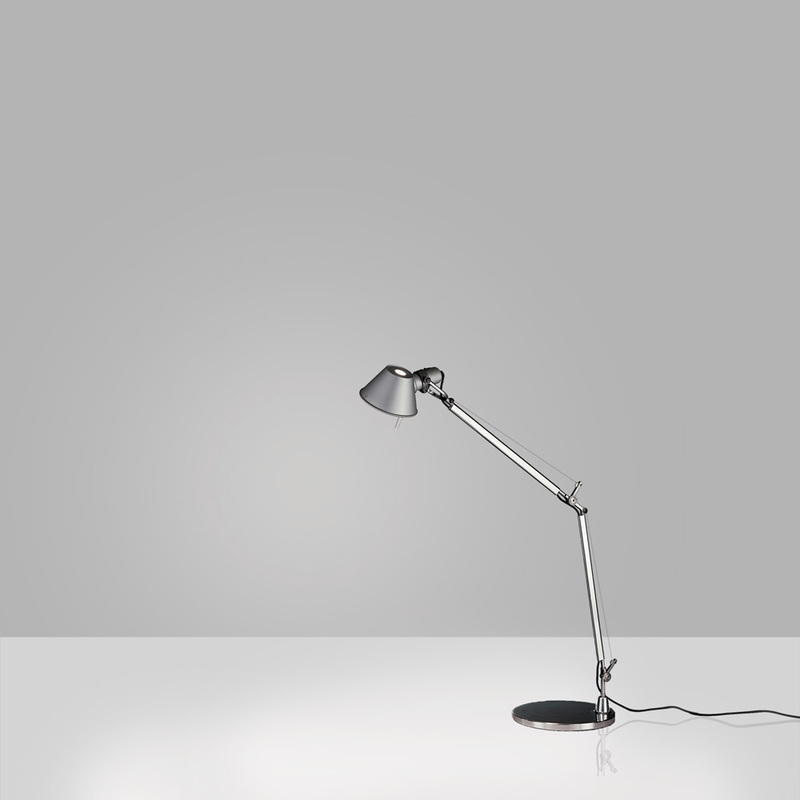 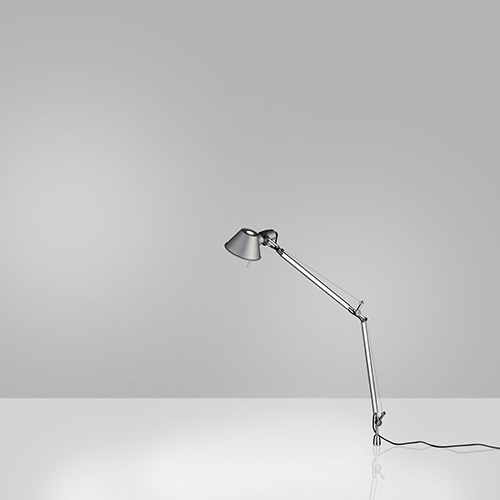 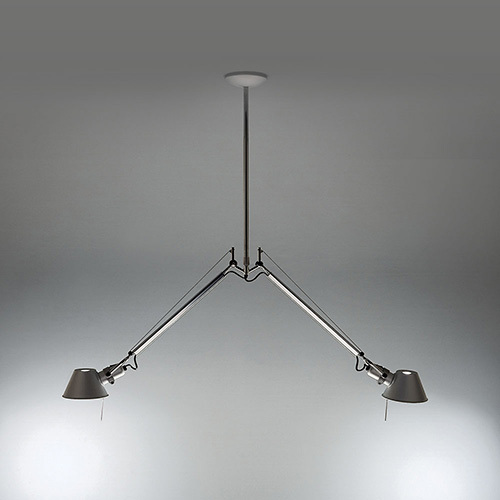 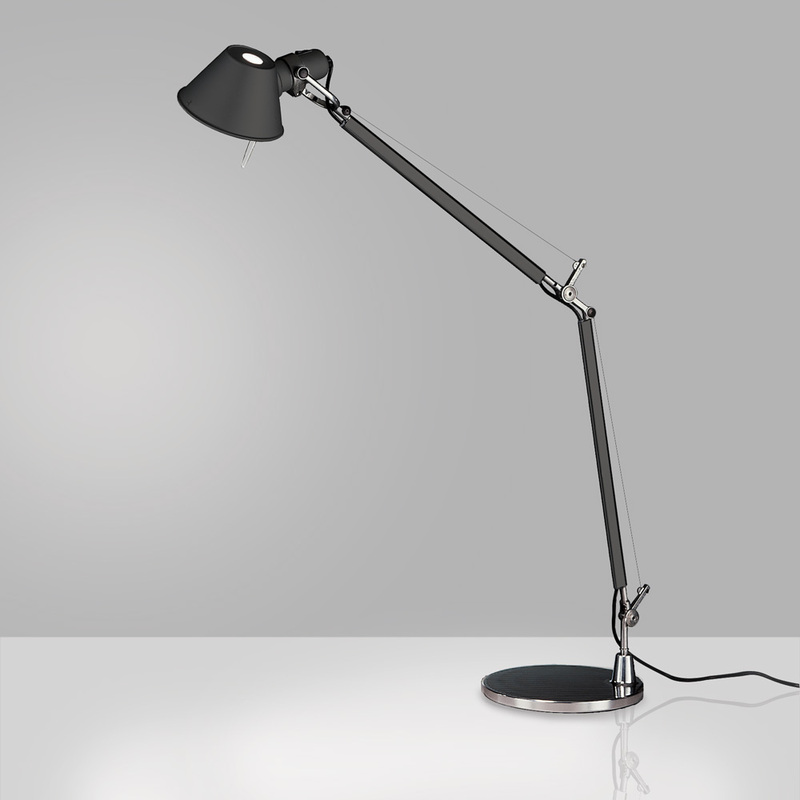 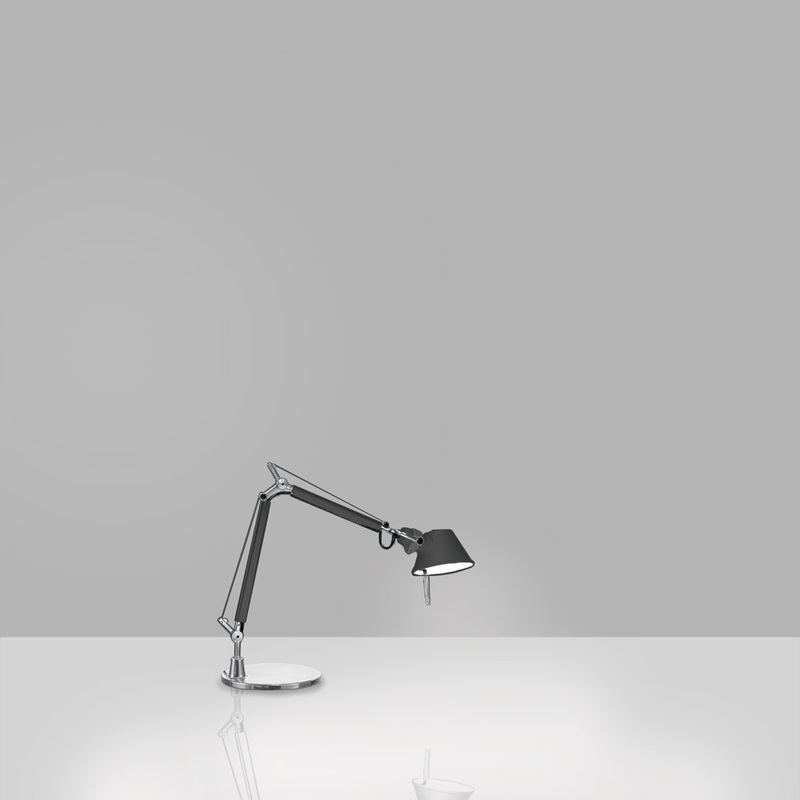 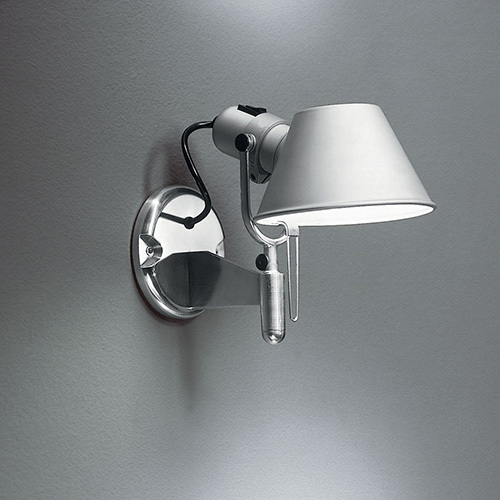 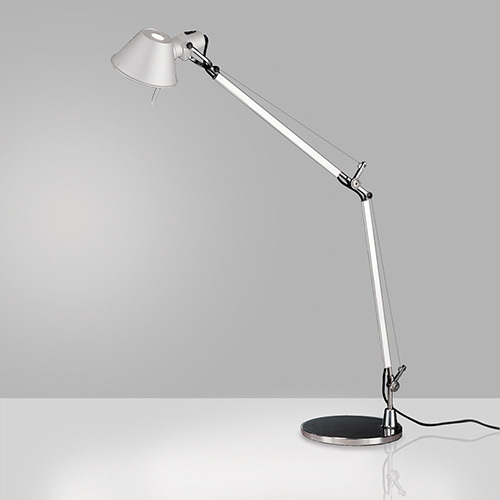 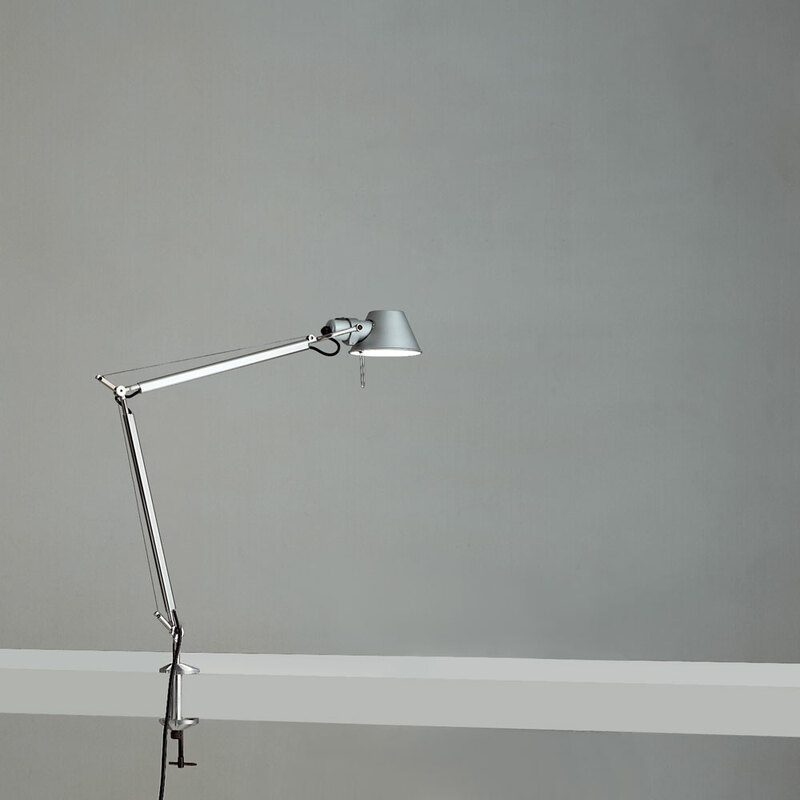 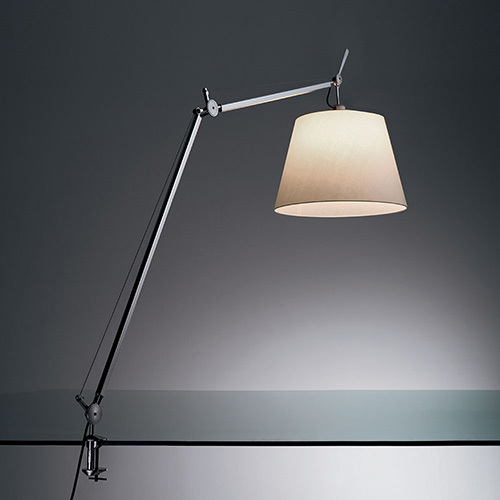 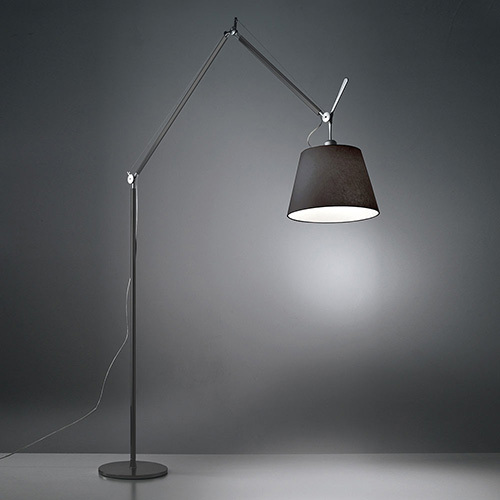 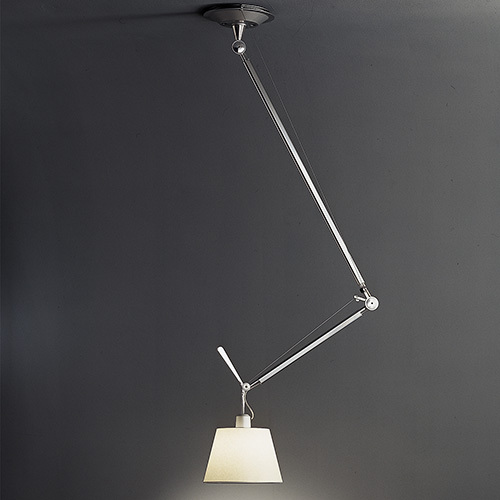 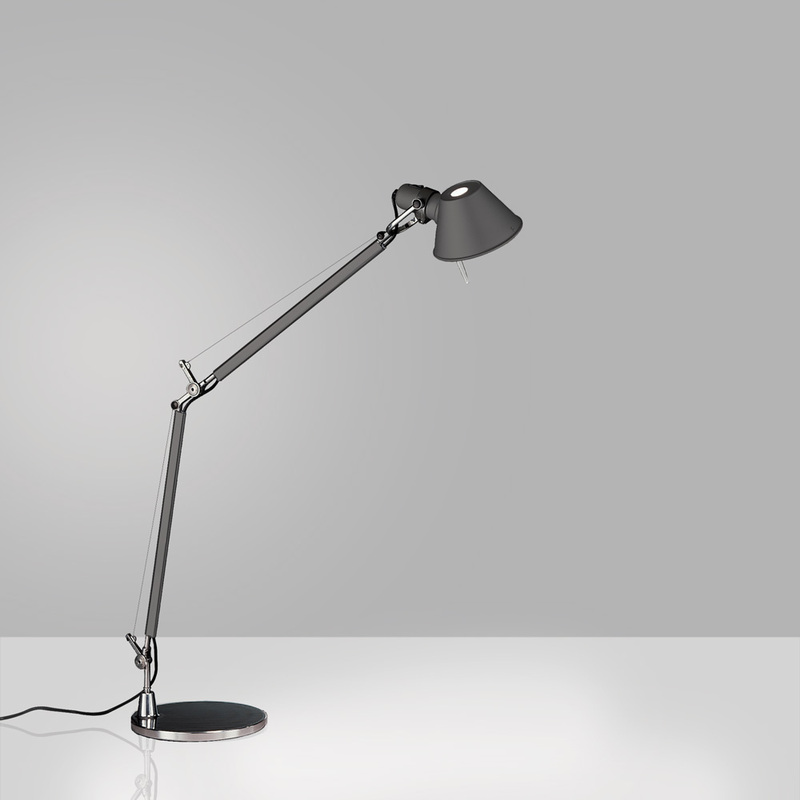 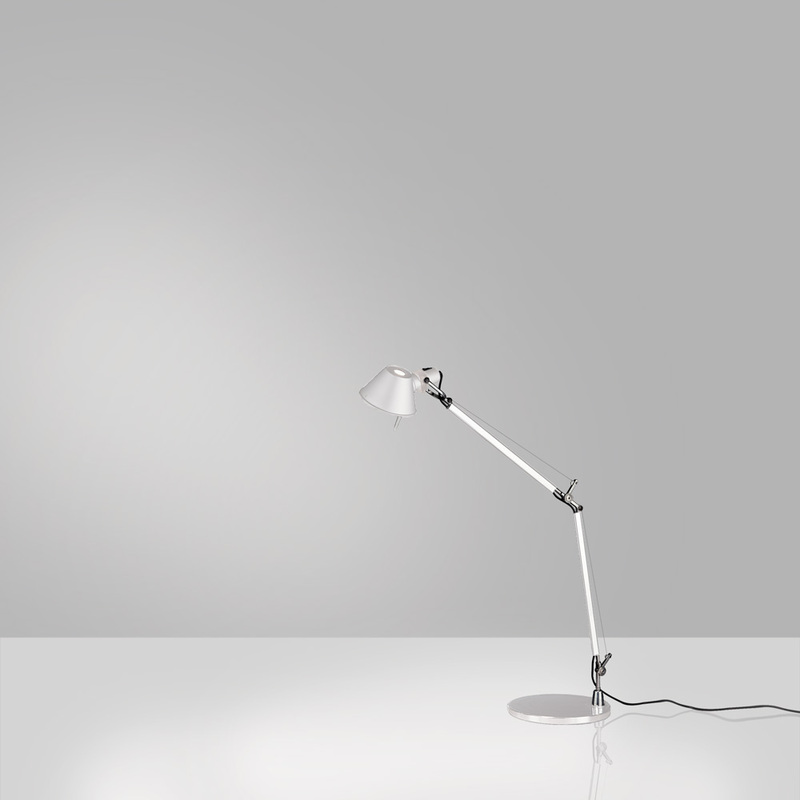 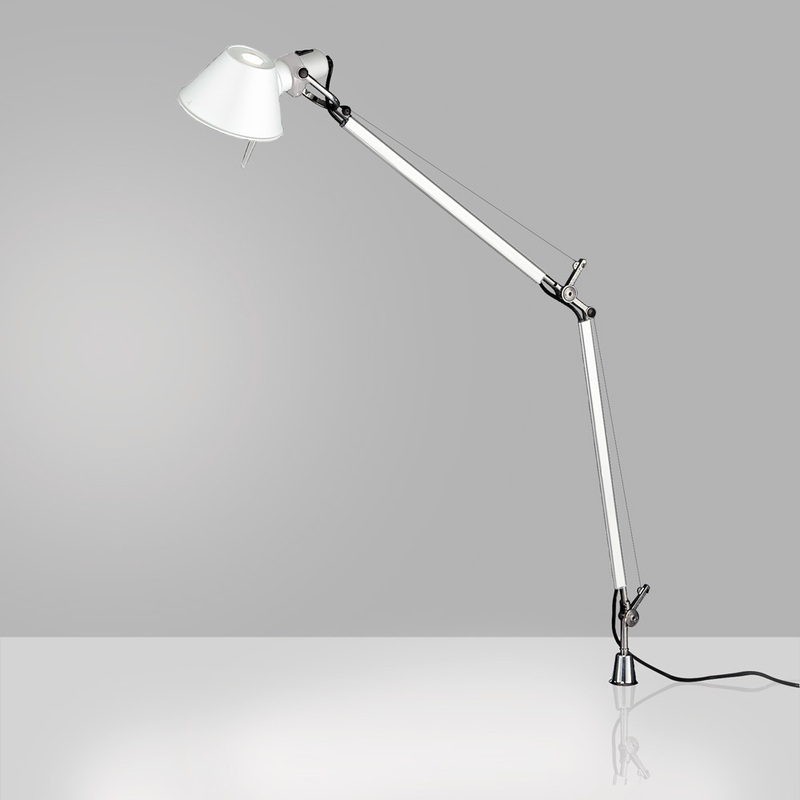 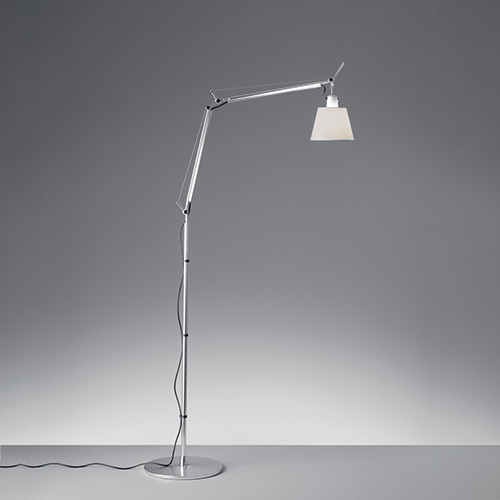 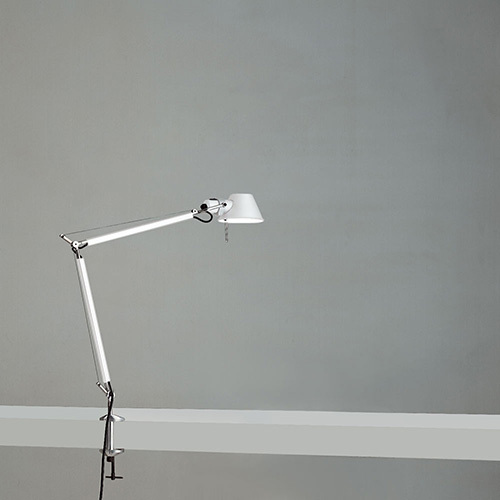 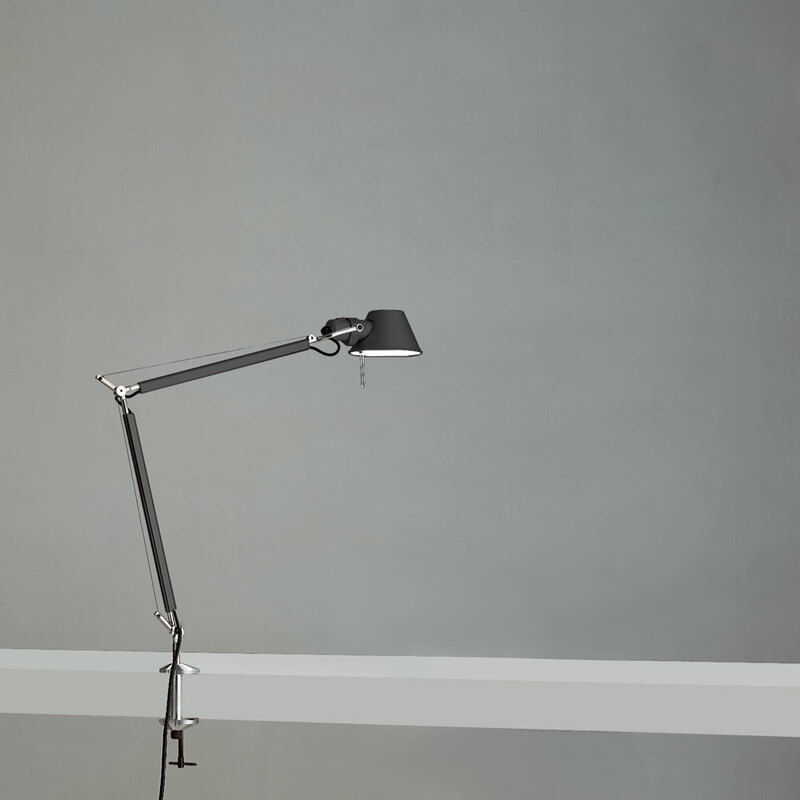 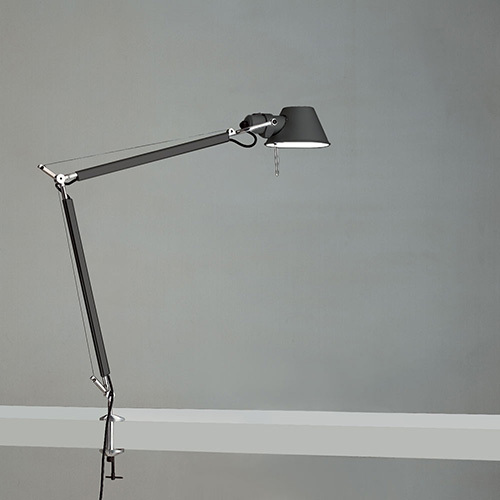 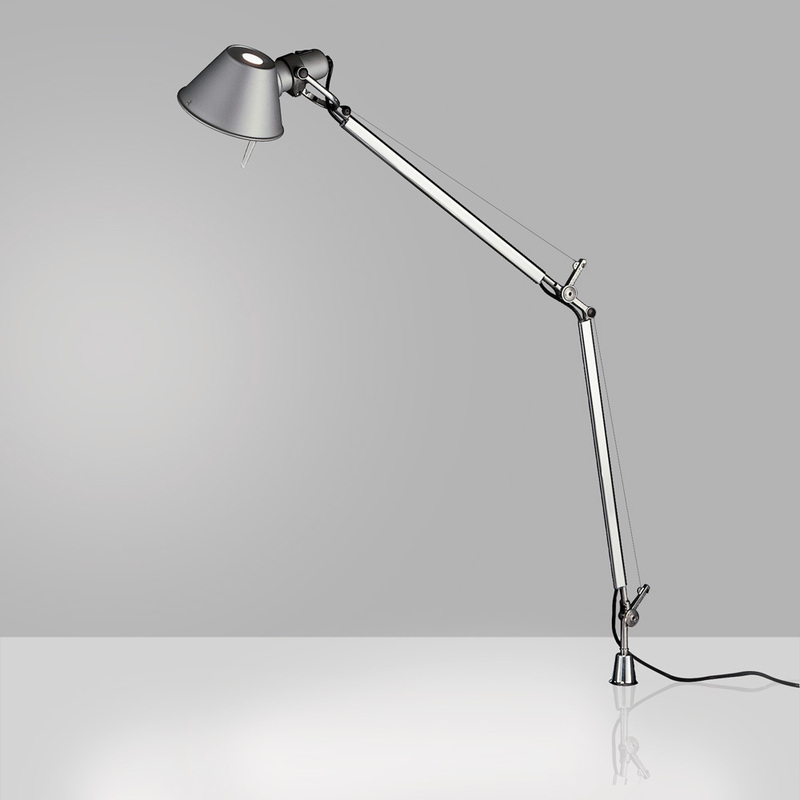 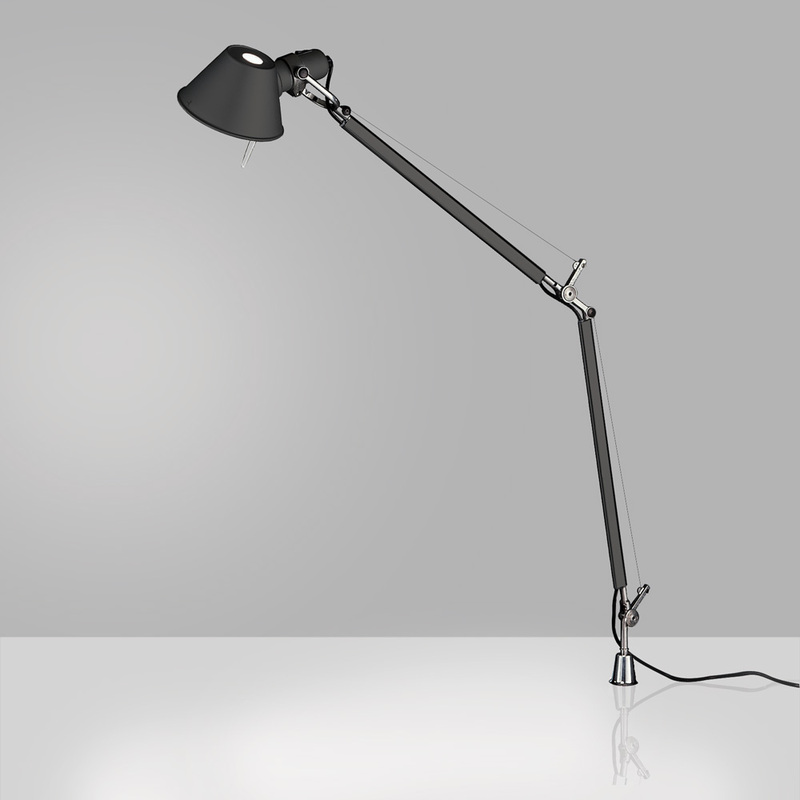 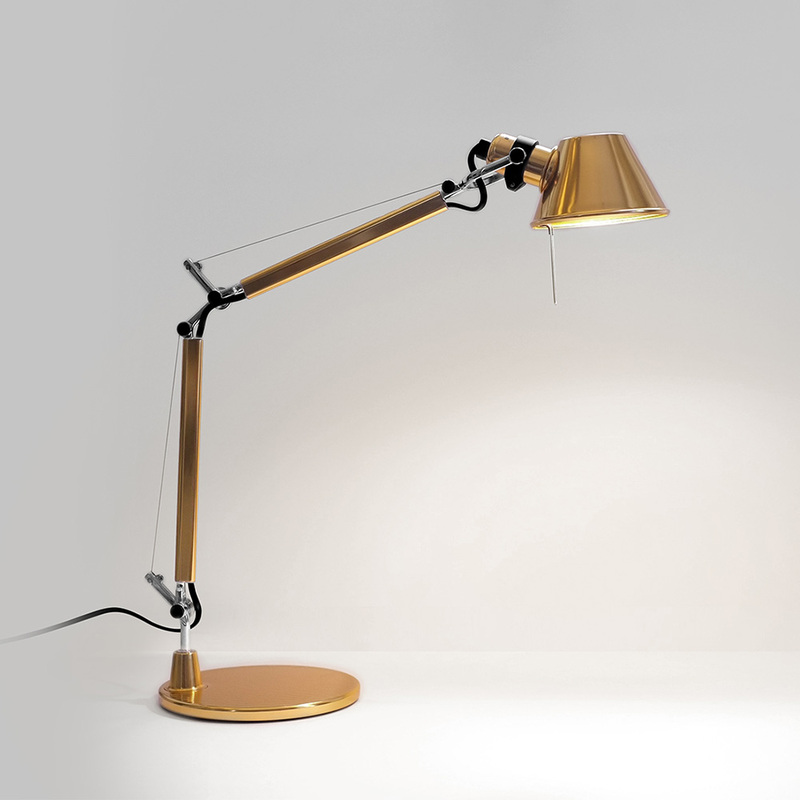 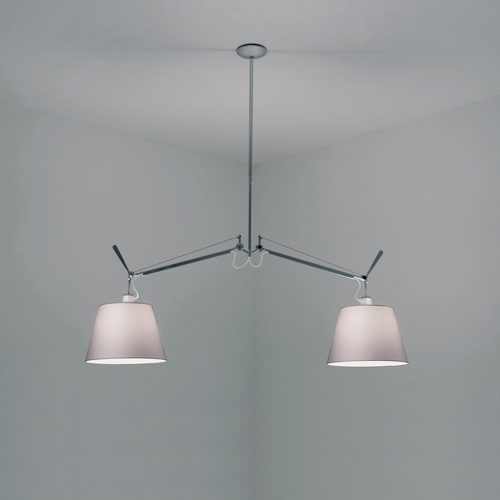 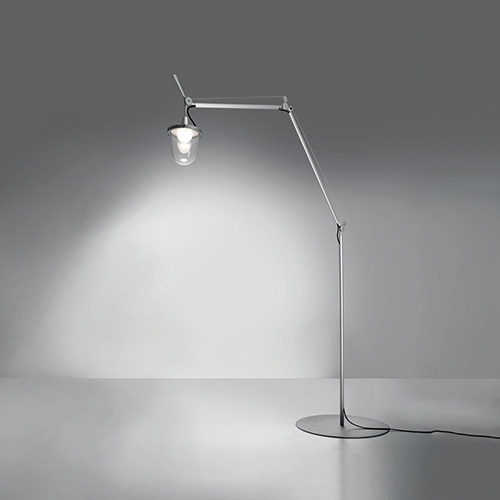 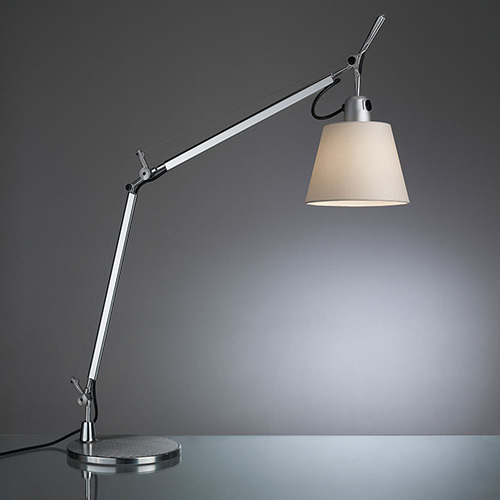 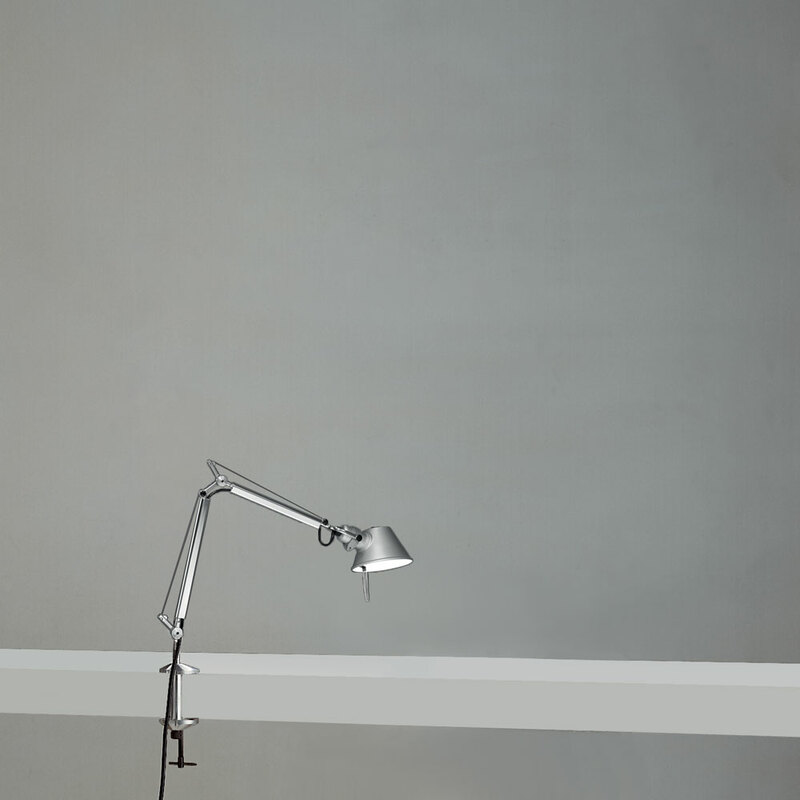 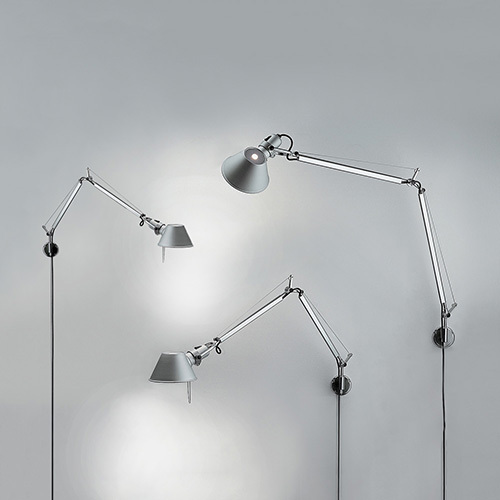 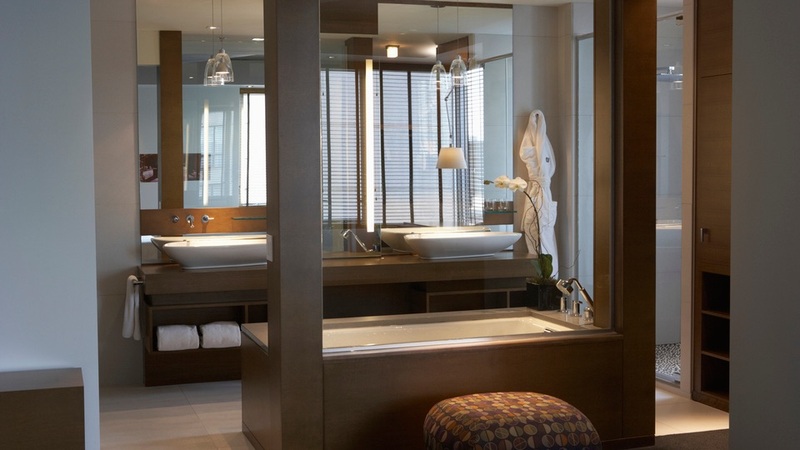 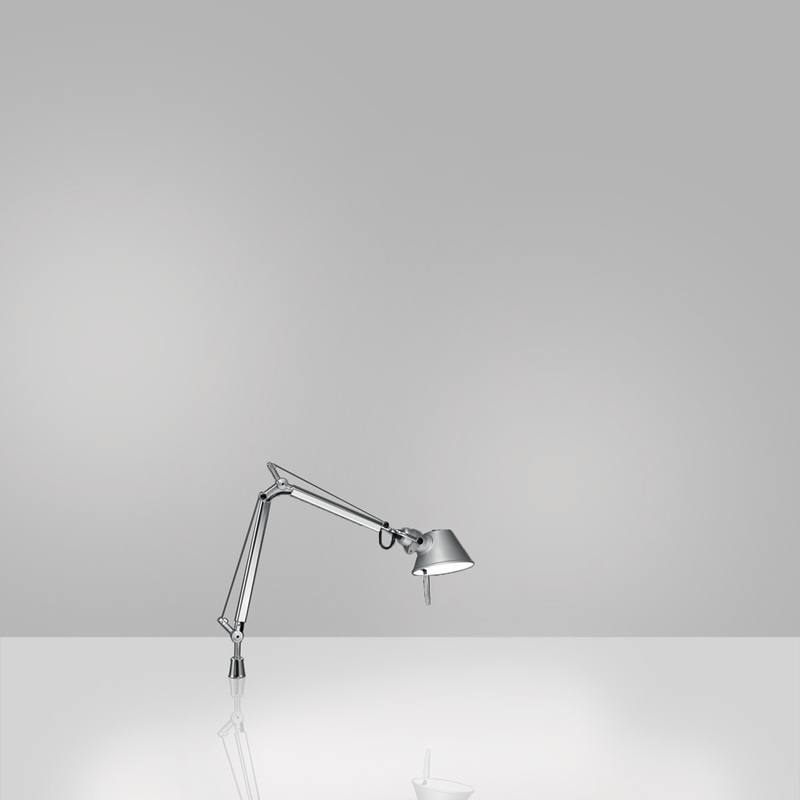 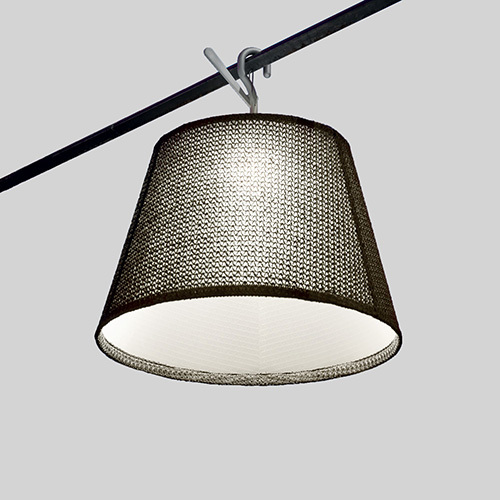 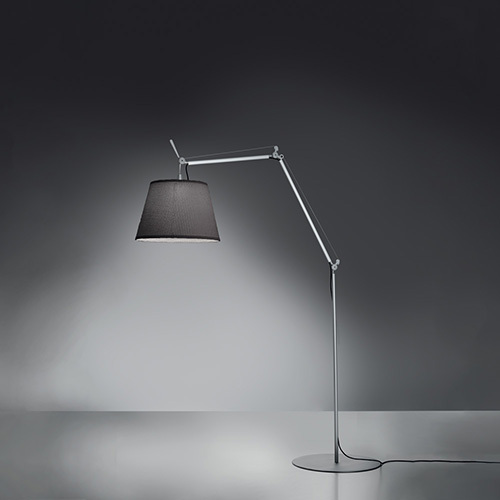 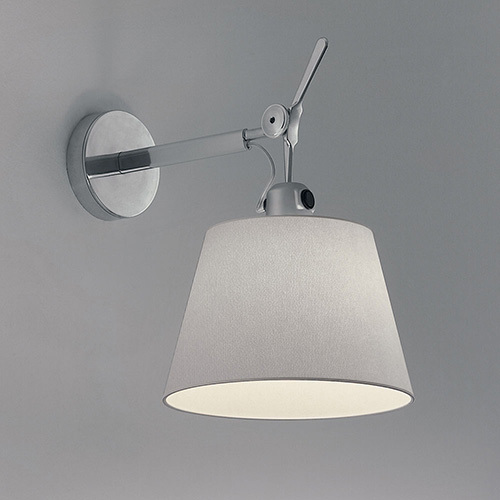 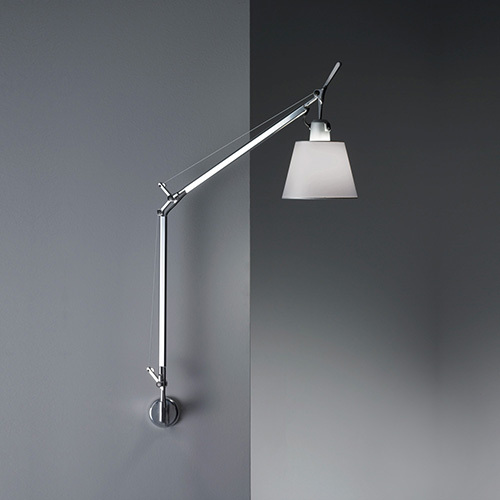 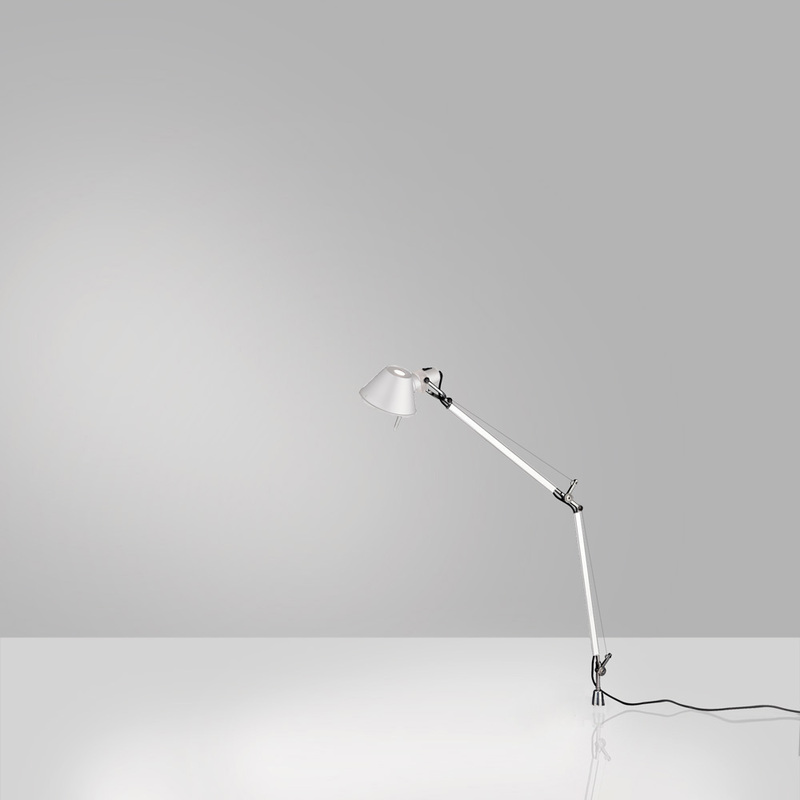 A study in balance and movement, the Tolomeo table lamp is designed for a fully adjustable direction of light. 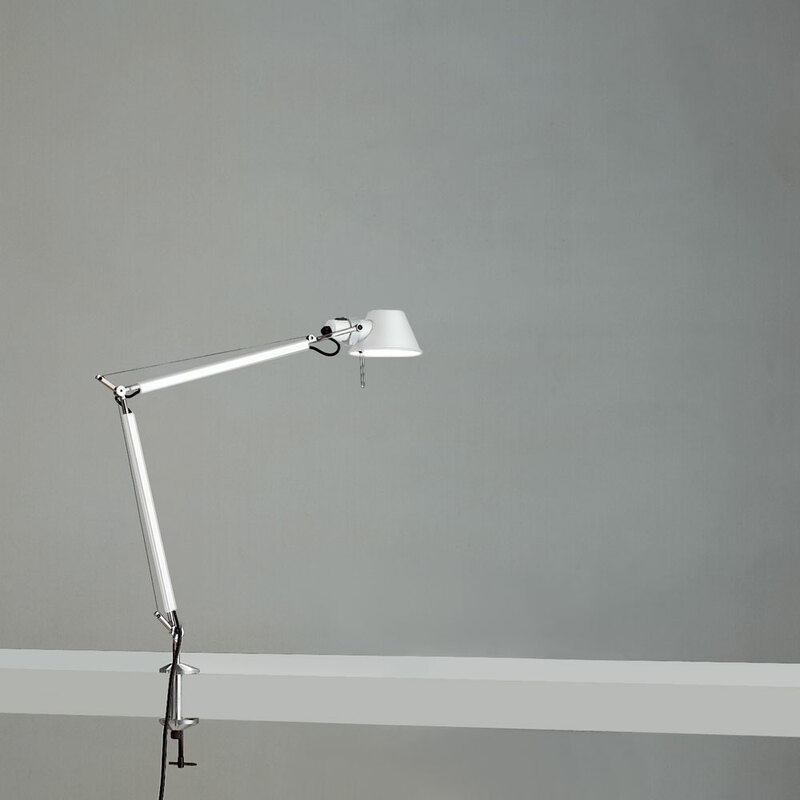 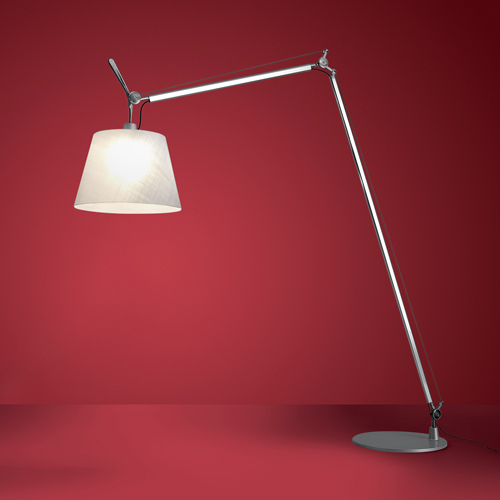 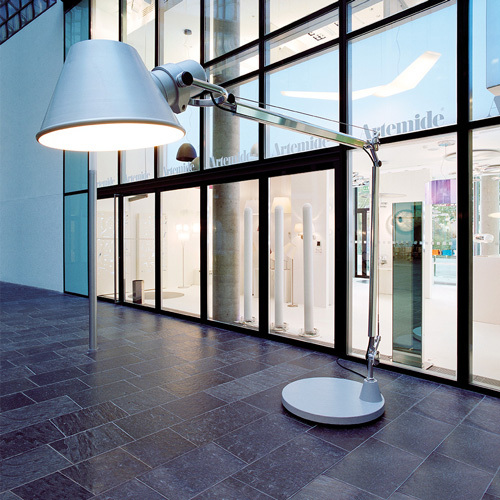 Created for Artemide in 1987 by Michele De Lucchi and Giancarlo Fassina, Tolomeo has become an icon almost 30 years after its birth. 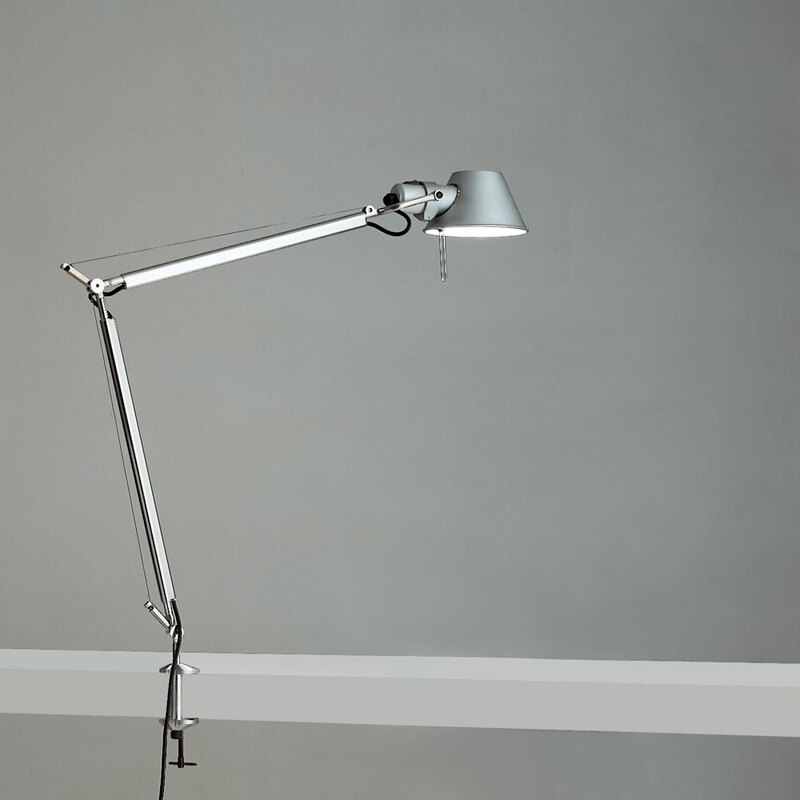 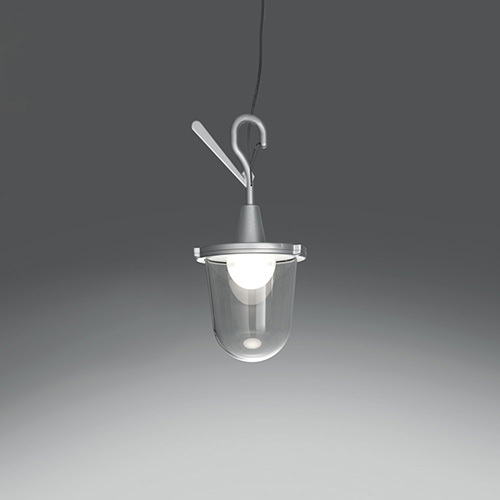 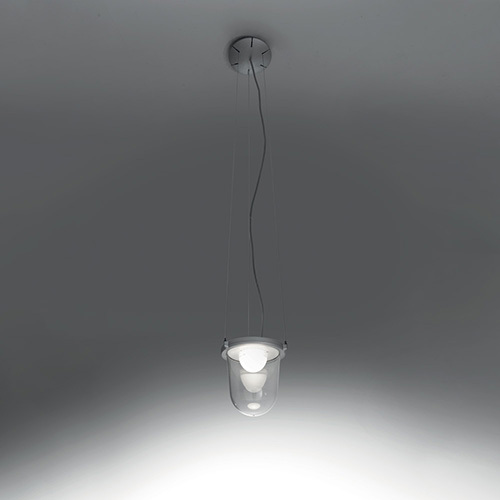 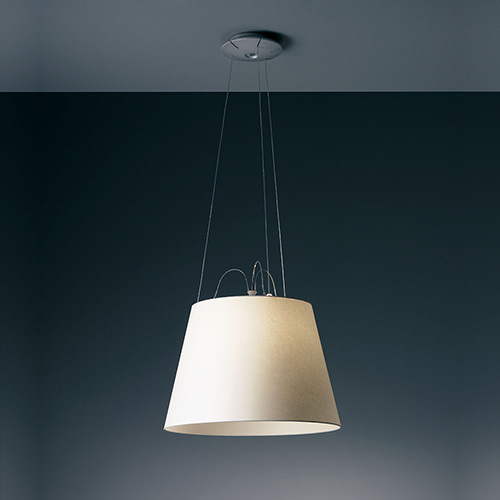 Now available with integrated LED light source, model variations include an incorporated dimmer switch on the head, a motion sensor which uses passive infrared technology for energy conservation, and/or Tunable White LED technology allowing for varied intensities and color temperatures to be obtained. 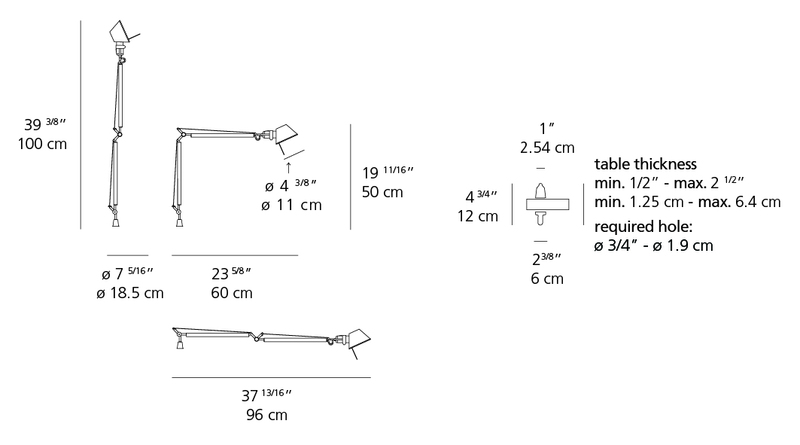 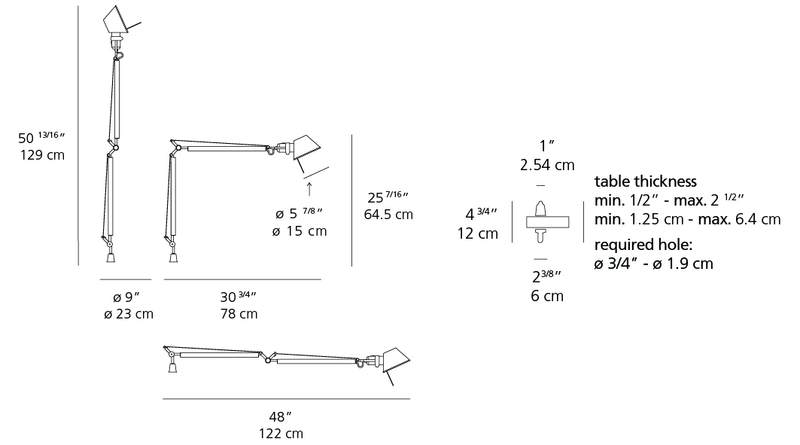 -Fully adjustable, articulated arm structures in extruded aluminum. 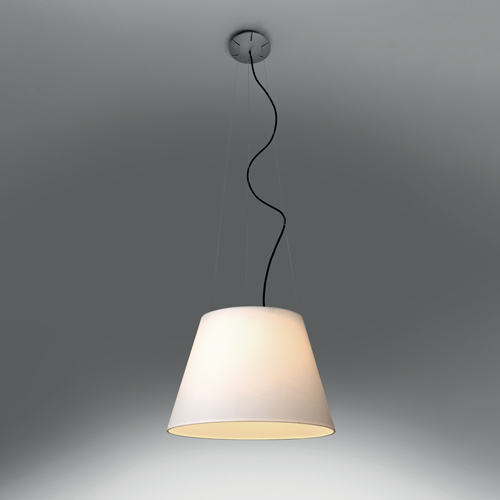 -Internal tension springs and external tension control cables in stainless steel. 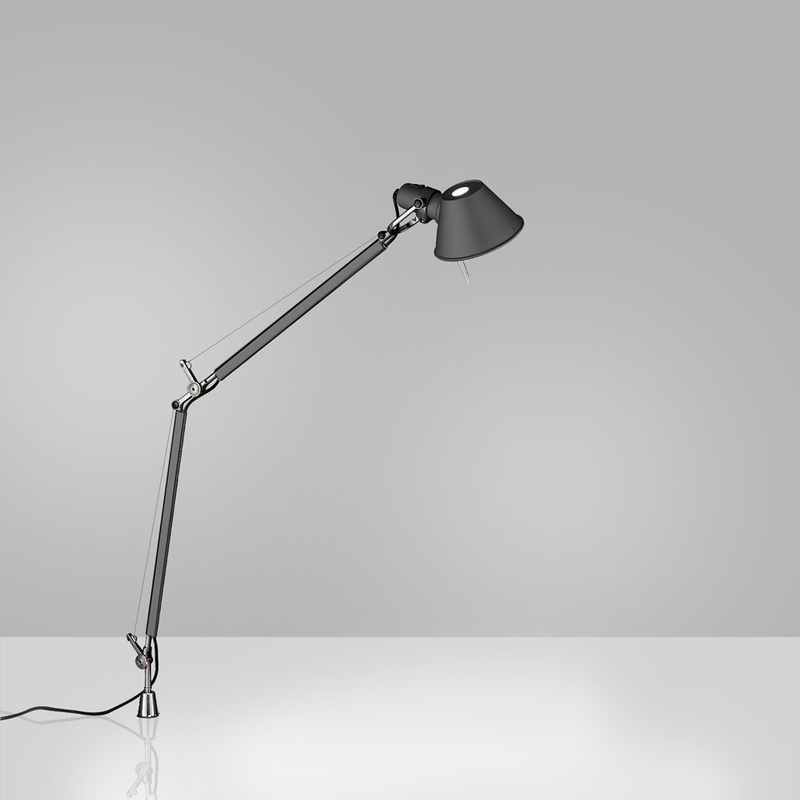 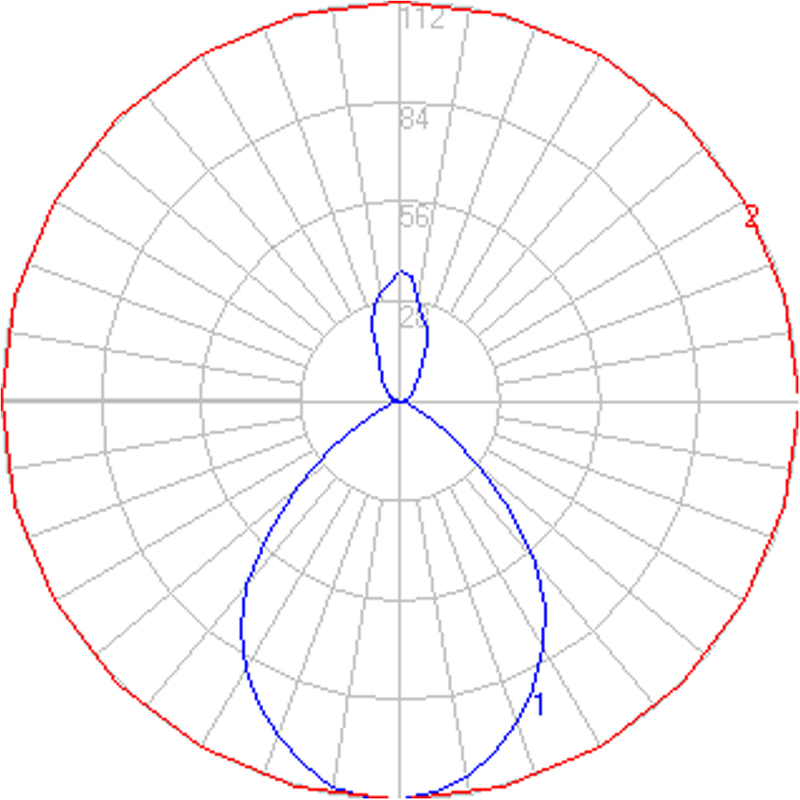 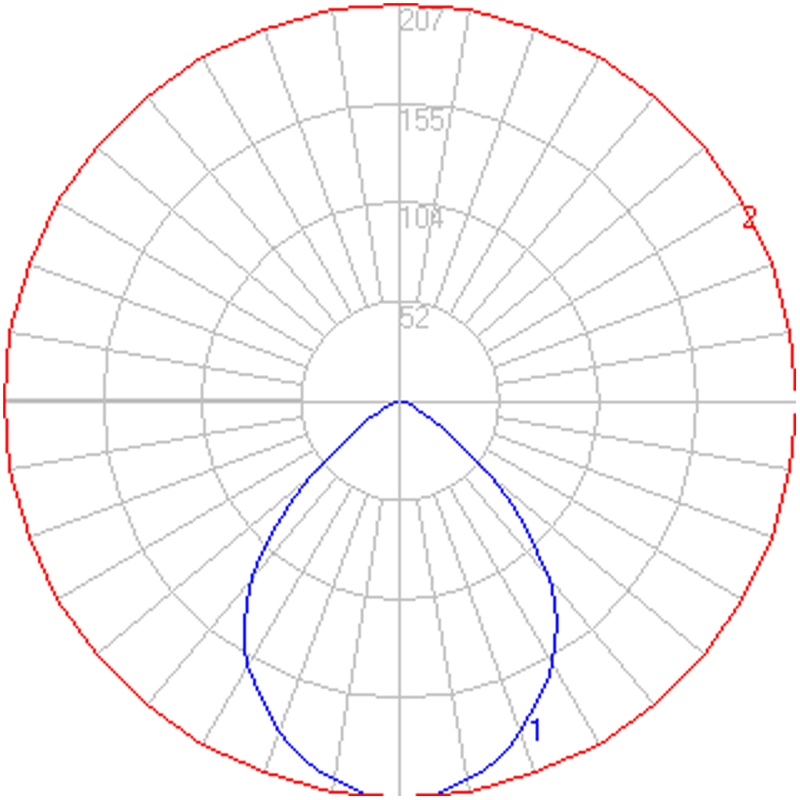 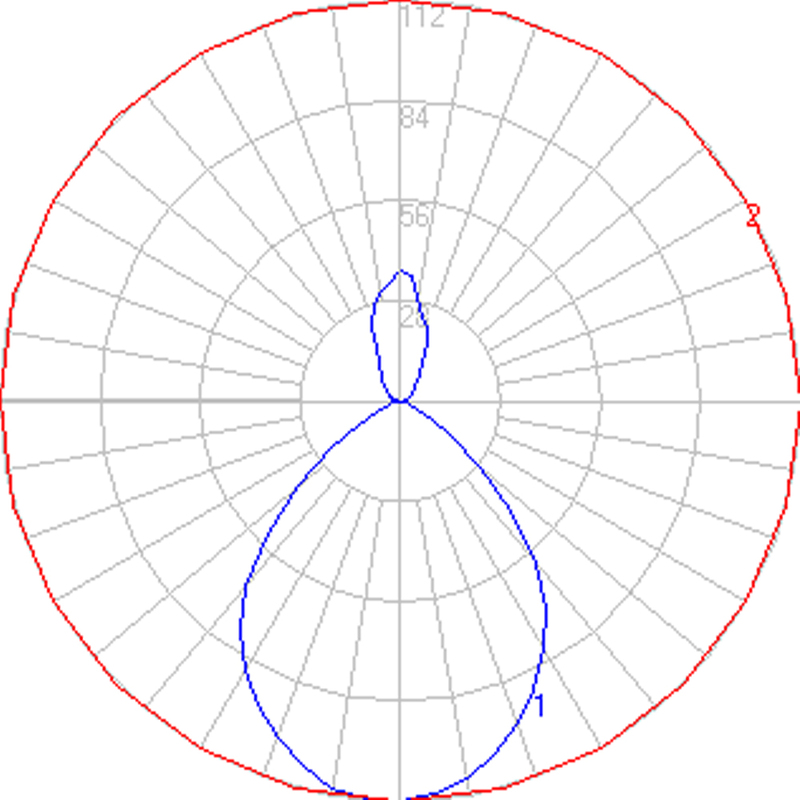 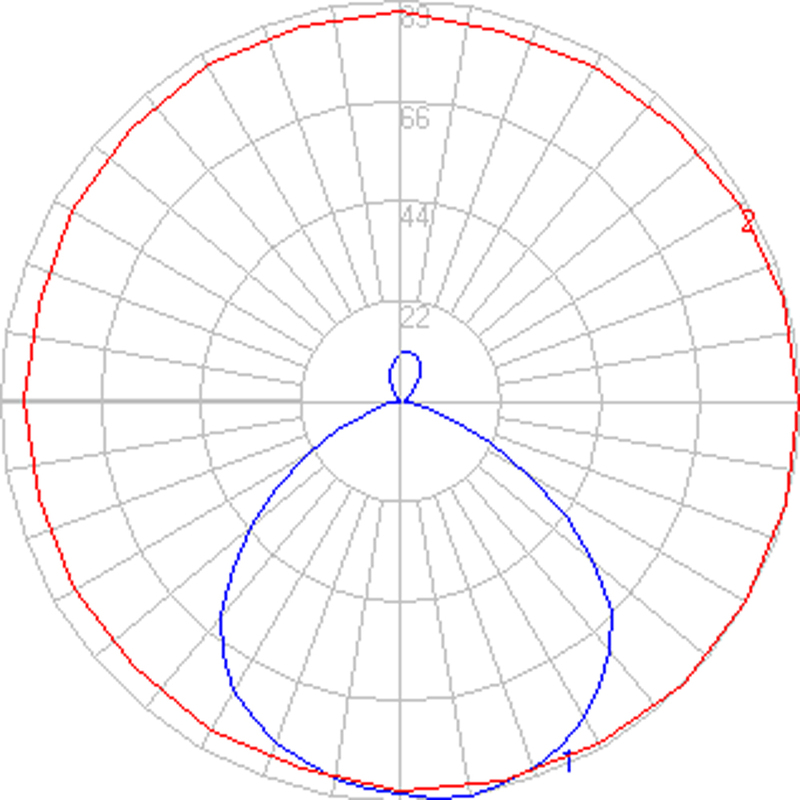 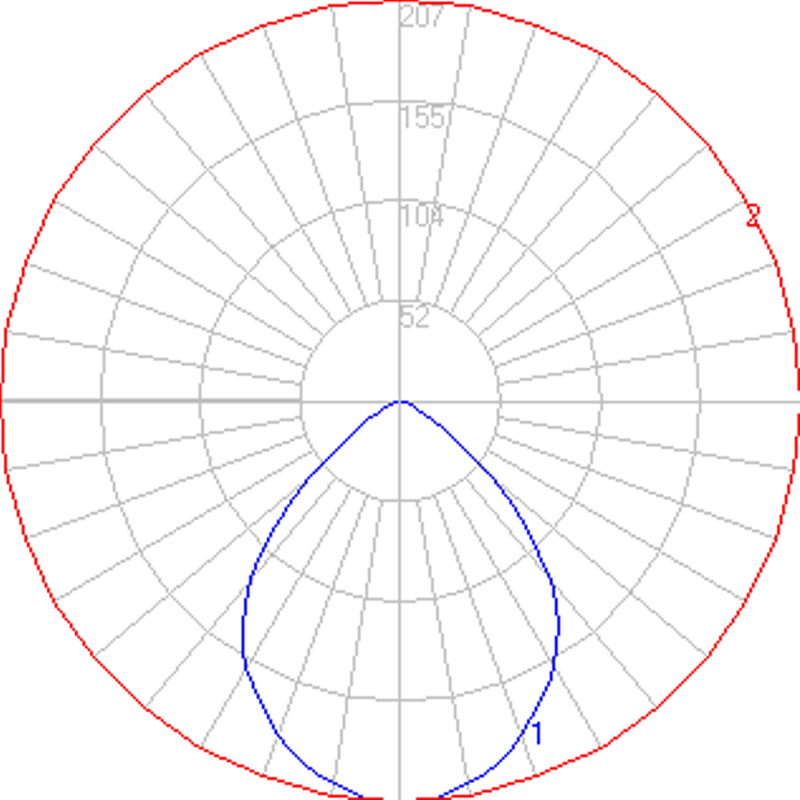 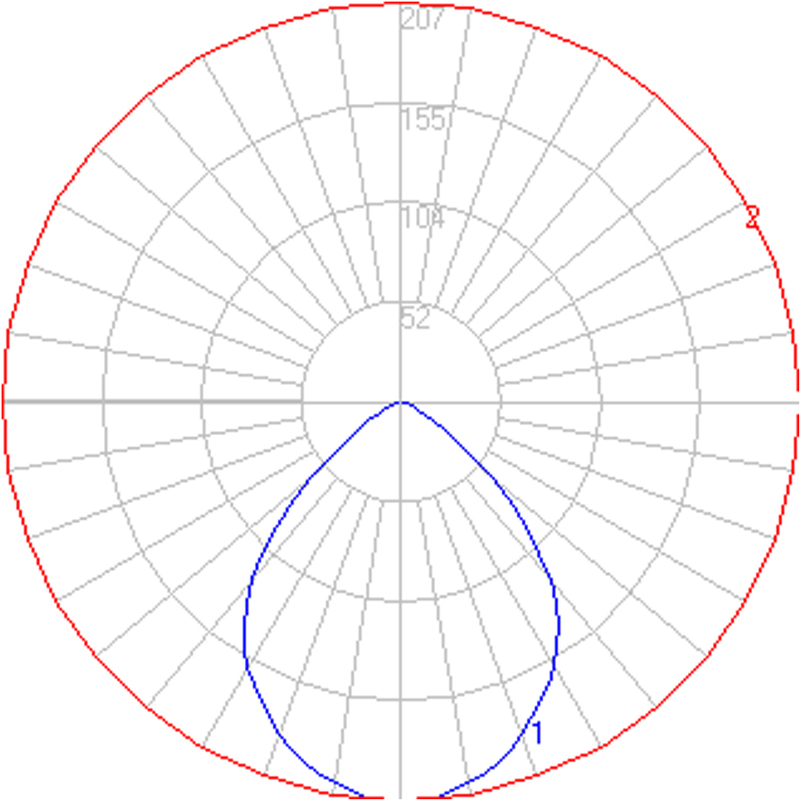 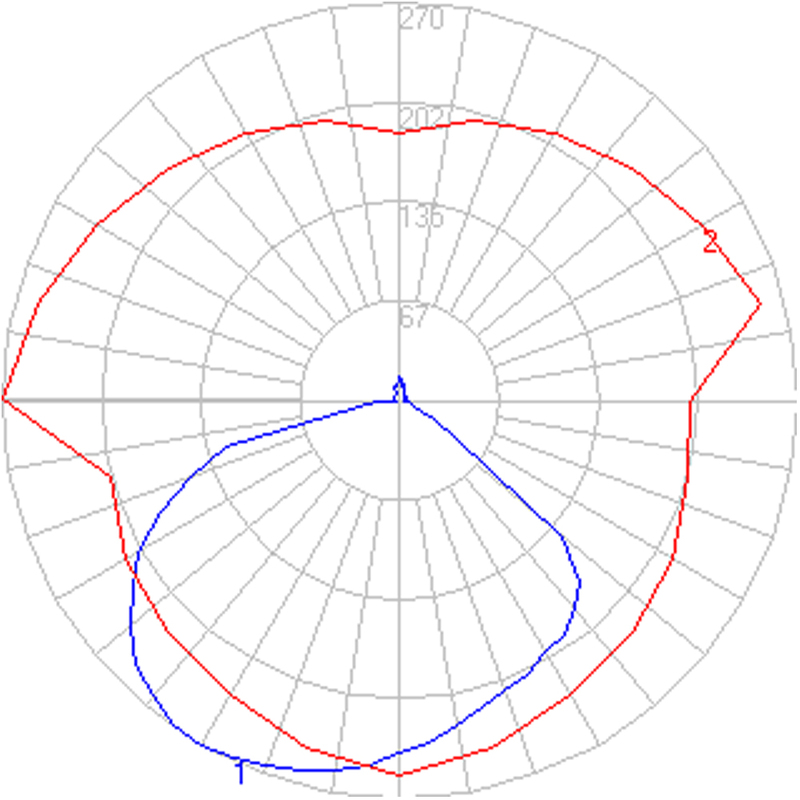 -Tiltable and rotatable diffuser (90° in both directions). 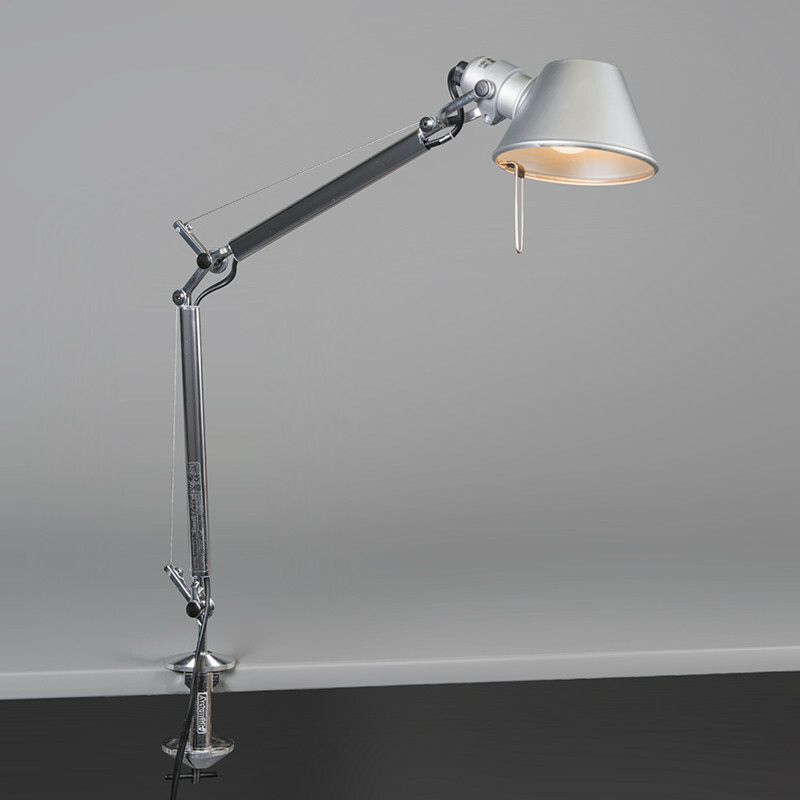 -Base in weighted steel with stamped aluminum cover.